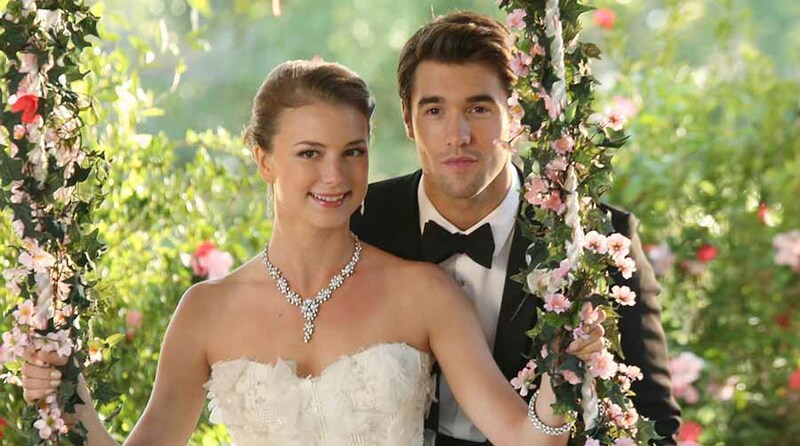 Exactly five years after their wedding in the series Revenge, actor couple Emily VanCamp and Josh Bowman are married in real life. The wedding took place in the Bahamas. Revenge colleague Ashley Madekwe was present and shared some photos from the location via Instagram Stories. The two faced each other in 2011 on the set of Revenge, in which they played Emily Thorne and Daniel Grayson. The Captain America actress told in 2014 that Bowman and they kept their real bond and those on the screen strictly distant and therefore preferred not to talk about him in interviews. Nevertheless, VanCamp, who is now on show in The Resident hospital, announced in the spring of 2017 that she was engaged.